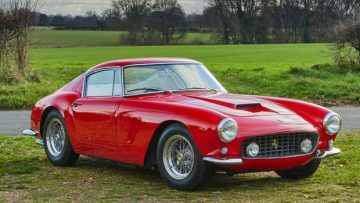 A 1963 Ferrari 250 GT SWB Berlinetta and 1958 Ferrari 250 GT Tour de France Berlinetta were the top results at the Gooding Scottsdale 2019 classic car auction. 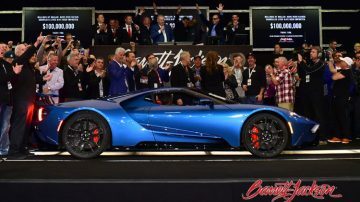 Gooding had a good start to the auction year when nine cars sold for more a million dollar at the Scottsdale 2019 classic car auction. 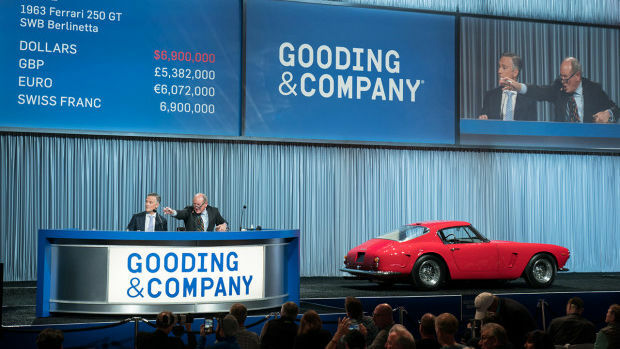 The top three results of the Scottsdale, Arizona, classic car auction week were all sold by Gooding: 1963 Ferrari 250 GT SWB Berlinetta for $7,595,000, the 1958 Ferrari 250 GT Tour de France Berlinetta for $5,890,000, and a 1953 Ferrari 250 MM Spider $5,395,000. Six of the million-dollar cars were Ferraris, two Mercedes Benz 300 SLs and one Shelby Cobra. Note: Unpublished results observed during sale, more cars may have sold post-hammer. 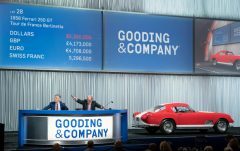 Gooding sold nine cars for more than a million dollar at the Scottsdale 2019 classic car auction. 17 cars were offered in the sale with upper estimates of a million dollar or more – only four failed to sell. Gooding seemed to have judged the market well, or at the very least succeeded in convincing sellers that results from 2015-16 will not be replicated in the current market and that too high reserves will simply result in no-sales. 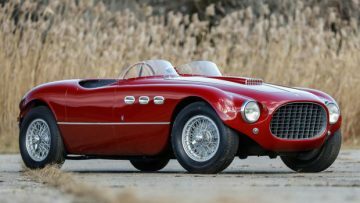 The top six results at Gooding were all for Ferraris and top three were also the top three results for the Scottsdale, Arizona, 2019 classic car auction week and the top three results thus far in 2019 for cars sold at public auction. The 1963 Ferrari 250 GT SWB Berlinetta with coachwork by Scaglietti, chassis 4037 GT, sold for $7,595,000 as the top result of the Gooding Scottsdale 2019 auction and the top result of all the Scottsdale, Arizona, 2019 sales. This 250 GT was the fourth to last of 166 SWB produced and one of only 96 Lusso SWB Berlinettas built. It had a string of owners including Nicolas Cage (in 2006). The 1963 Ferrari 250 GT SWB Berlinetta was offered with a clear come-buy-me estimate. The result was lower than recent highest bids for similar models but in contrast to those auctions, this car was actually sold. 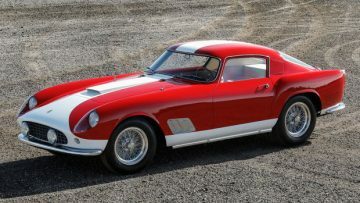 The 1958 Ferrari 250 GT Tour de France Berlinetta, chassis 1037 GT, sold for $5,890,000 – within the fairly low estimate. This car was the 19th of 36 single-louver Tour de France Berlinettas produced (out of a total 78 made). The car was originally delivered in Venezuela where it was raced successfully for several years. During the 1990s, the car was restored to its original appearance although the color scheme was changed from white over black to red over tan. The current two-tone arrangement seems more recent. The 1953 Ferrari 250 MM Spider, chassis 0348 MM, sold for $5,395,000 – just below pre-sale estimate. This car is one of just 12 Vignale Spiders built on the 250 MM chassis. The 250 MM Spider was originally delivered to the USA where it was extensively and successfully raced. However, it survived in a very good condition with its original engine, gearbox, chassis and coachwork. The 1988 Ferrari 288 GTO sold for $2,507,500 – just within estimate and inline with results for the model at auctions in the past few years. Although only 272 were produced, another one sold at RM Sotheby’s Arizona 2019 a few days earlier for a stronger $3,360,000 but for a very low mileage car. The Ferrari 288 GTO was built to comply with homologation regulations for the FIA Group B rally but the series was cancelled before the 288 GTO could compete. Although built in much lower numbers than later Ferrari supercars, the 288 GTO seems to attract less attention and prices remain stuck around $2.5 million. One sold for $4 million at RM Sotheby’s Maranello 2017 and that result fo a very low mileage car with rare lightweight specifications probably entice a few sellers to the market. The 1952 Ferrari 212 Europa Cabriolet, chassis 0235 EU, sold for $1,930,000. This 212 Europa Cabriolet was the original 1952 Paris Auto Salon and 1953 Brussels Motor Show car. More significantly, it participated in the first ever Nürburgring 1000 Km in 1953 where it finished 9th overall and 3rd in class. It is Ferrari Classiche certified to have its original chassis, engine and gearbox, which is no mean feat as the V12 was replaced by an American V8 during the 1960s. The original engine and gearbox were only reunited with the car in 1995. 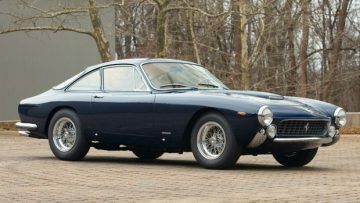 The 1963 Ferrari 250 GT Lusso, chassis 5141 GT, sold for $1,902,500 – one of the strongest Lusso results in recent years. This car was the 133rd of only 350 Lussos ever built with Pininfarina coachwork. It is Ferrari Classiche certified to have its original gearbox and engine. This Lusso has been beautifully restored in a dark blue over tan leather interior and has made appearances at multiple concours, culminating in a Gold Award at the 2007 Ferrari Club of America National Meeting in Watkins Glen, New York. In the consignor’s care, 5141 GT has been shown occasionally as part of an extensive collection maintained in a climate-controlled private museum. Although Mercedes Benz 300 SL prices are still well below the peak of around 2015, these cars again frequently sell for above a million dollar at auctions and more are again on offer. The Scottsdale, Arizona, 2019 auctions will have at least three Gullwings, four Roadsters and an Sc Roadster. 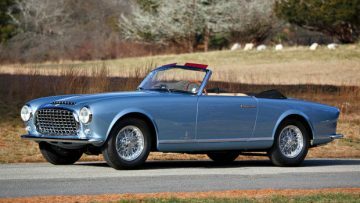 The three cars at Bonhams and RM Sotheby’s failed to sell, Worldwide Auctioneers let a Roadster go for $980,000 but Gooding had some success, although the highest Mercedes bid of the week failed to buy the top Roadster on offer. The wonderfully preserved 1955 Mercedes-Benz 300 SL Gullwing sold for above estimate $1,435,000. 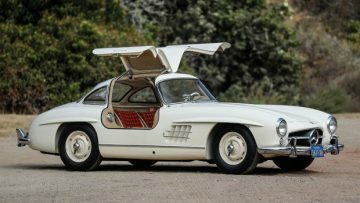 This Gullwing was sold new to famed Austrian conductor and passionate car enthusiast Herbert von Karajan, who famously lead the Berliner Philharmoniker for decades. He ordered the Mercedes with a very rare and unusual specification – it is finished in Weissgrau (DB 158) with tan vinyl upholstery with red plaid fabric inserts. Most importantly, the car was ordered with Rudge knock off wheels – a very rare and desirable option for the 300 SL. 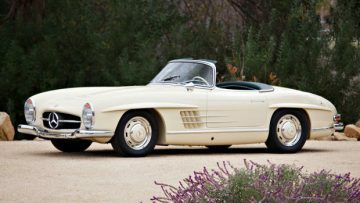 The 1957 Mercedes-Benz 300 SL Roadster achieved a mid-estimate result of $1,006,000. It is an earlier model and has had just three owners since 1963. The Roadster is finished in a rare color combination of ivory over green leather and in show-ready condition. It also has a relatively low 44,000 miles on the odometer. It is a matching-numbers car and the engine was completely rebuilt in 2018. With only 53 Sc Roadsters ever built, the 1956 Mercedes-Benz 300 Sc Roadster is far rarer than the 300 SL cars. 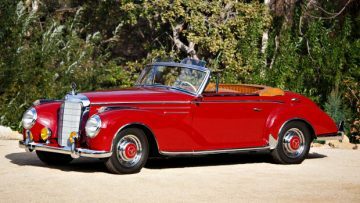 New, the Mercedes Benz 300 Sc was more expensive and more comfortable than the sportier versions. The Sc at Gooding sold for $880,000 – just below estimate but still a good result for a model that is often hard to sell. Note: Highest bids as observed during the auction. Some cars might have sold post hammer. The 1964 Ferrari 275 GTB Prototype, chassis 06003, was the very first 275 GTB built and the development car for what would become a very popular Ferrari series. 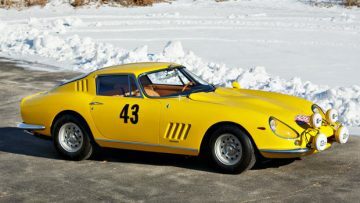 The top bid was $4,750,000 which was somewhat surprisingly low given that the top result at the Scottsdale 2018 auctions was also for a unique Ferrari 275: the 1965 Ferrari 275 GTB Speciale that was the personal car of Battista Pininfarina. It sold for $8,085,000 – a record for a steel-bodied 275 Berlinetta and the 7th most-expensive car sold in 2018. 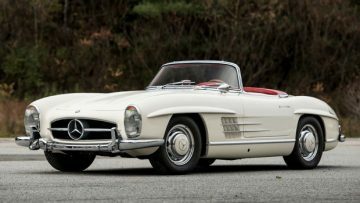 The 1963 Mercedes-Benz 300 SL Roadster (Estimate: $1,750,000 – $2,250,000) was the pick of the bunch of 300 SLs on offer at the various Scottsdale auctions and it attracted the highest bid for a Mercedes at the auctions – an unsuccessful highest bid of $1,550,000. It is one of only 210 final year examples built with the desirable alloy-block engine and disc brakes. The car has less than 16,000 miles on the clock and had only three owners since new.